A software app designed by a Spanish technology startup that enables the design and optimization of large-scale photovoltaic solar plants in just minutes has been awarded the top prize and 30,000 euros in this year’s annual Explorer competition for innovative technology solutions sponsored by Banco Santander. Created by RatedPower, a tech startup based at the Explorer Space incubator of the Universidad Carlos III de Madrid (UC3M), the PVDesign software lets any user easily design the layout and infrastructure for a solar energy facility on any piece of property in five easy steps. The engineering and design team at RatedPower says they hope PVDesign will help to kickstart a boom in development of solar energy production worldwide, enabling anyone to tap into the sun’s renewable energy through customized planning and construction of facilities for the generation of solar power for use in homes and businesses. PVDesign was selected for the top prize in this year’s Santander Explorer competition from among 52 competitors short-listed in a field of 1,200 entrants. All 52 startups who made the short list were included in an immersion trip to visit leading technology companies in California’s Silicon Valley earlier this year. 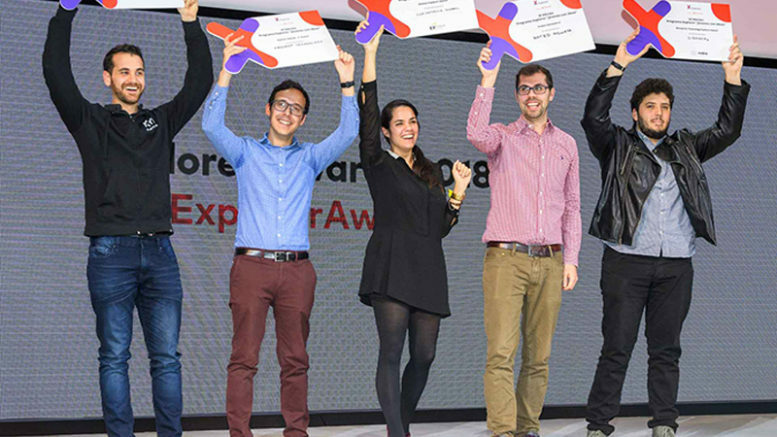 A total of 83,000 euros was awarded to the top five prize winners in the 2018 Santander Explorer competition.